Santa Monica, Calif., October 27, 2015 — Leading professional audio gear manufacturer Antelope Audio announces the introduction of its new Orion32+ flagship interface at this year’s AES Convention [Booth 637]. Now featuring Thunderbolt™ compatibility, zero latency monitoring and unmatched sonic depth and clarity, the Orion32+ delivers the ultimate in flexibility and sonic integrity to a demanding new generation of recording engineers and musicians. 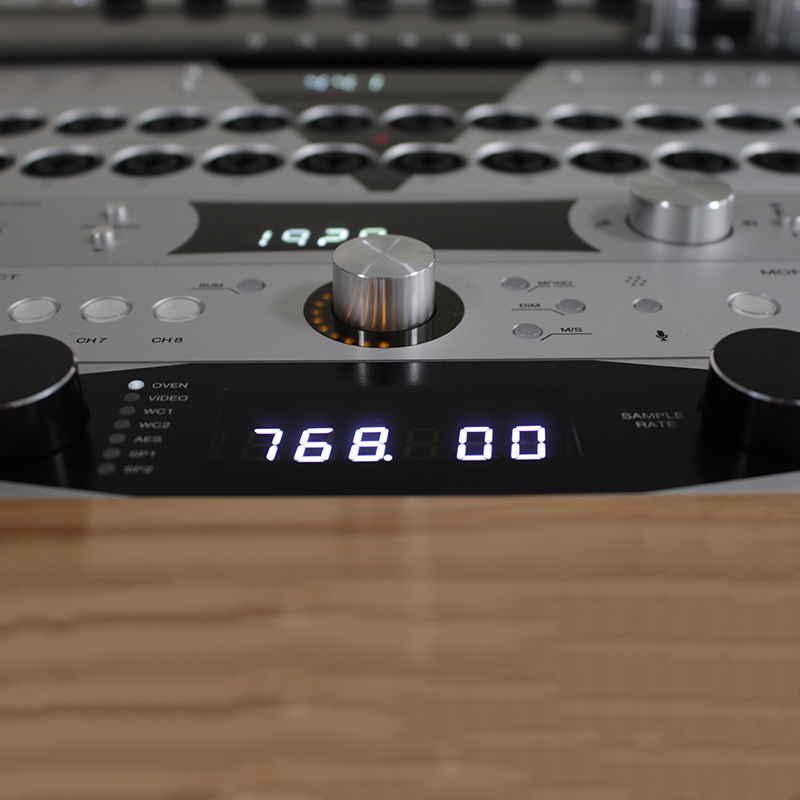 Orion32+ follows in the footsteps of Orion32 – world’s first 32-channel AD/DA converter. The new product delivers 32 channels of analog I/O via DB25, 32-simultaneous tracks of 24-bit, 192 kHz via Thunderbolt™ and USB, and 64 tracks via MADI (at 48 kHz). In addition to providing flexible connectivity options via Thunderbolt™, MADI and USB, Orion32+ also incorporates ADAT and S/PDIF I/O and a pair of mastering-grade, zero latency monitor outputs. Orion32+ also includes Antelope’s powerful DSP engine, which is optimized to run customized EQ, compressor and reverb effects. These include the recently announced AuraVerb and other forthcoming effects, which are included at no additional cost. The accompanying software application for Orion32+ is simple to operate, providing a color-coded routing matrix with four separate mixers, intelligent DSP effects integration and five different presets. The software application, originally created for the highly successful Orion32 and further refined for Zen Studio, is available for both OS X and Windows operating systems. Orion32+ is fully supported by Antelope’s superior 64-bit Acoustically Focused Clocking (AFC) jitter management technology, which is present in leading mastering facilities around the world. Orion32+ is expected to ship in mid-November and is priced at $3,495 (U.S.). For more information, please visit Orion32+ AD/DA Thunderbolt™ Interface web page.